Another week is underway, and as always we can get up and running with the Nintendo Download Update details for Europe. This week brings an iconic franchise to the Wii U, twice, along with some other download-only options and two retro party games. The 3DS has a major release from Aksys Games along with other options that include a demo and HOME Themes, while both systems have some tempting discounts. Without further ado let's get to the details. 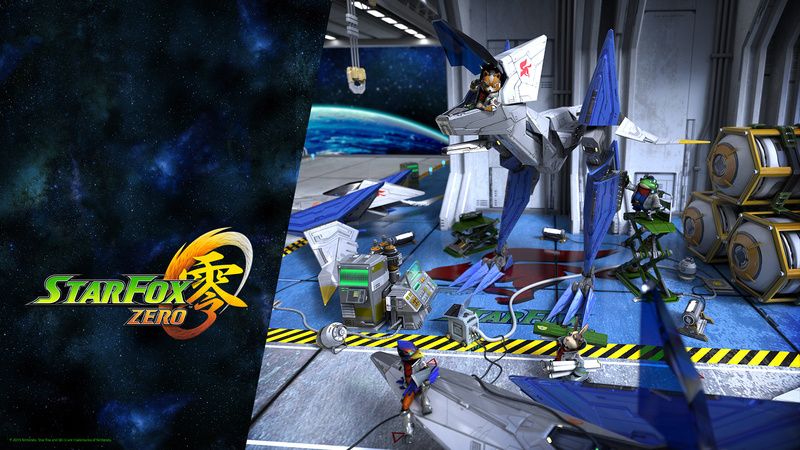 Star Fox Guard (Nintendo, €14.99 / £12.99 or €9.99/ £9.99 for those with Star Fox Zero on the same Wii U) - Originally 'Project Guard' and showcased as a demonstration of unique GamePad-based gameplay, this has emerged as an accompaniment to Zero. Your challenge is to place and then monitor 12 camera feeds, spotting incoming robots and destroying them before they take out your base. A relatively simple concept on paper, we nevertheless found it enthralling and surprisingly scary in our Star Fox Guard preview; our review will be with you before launch. Available from 22nd April. Queens Garden (Joindots, €6.99/ £5.49) - Beyond wondering whether there should be an apostrophe in the name, we do know that this looks like a colourful match-3 title for the eShop. We'll give it the royal treatment for a review. 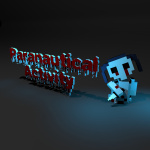 Paranautical Activity (Digerati, €9.99) - Listed previously for Europe, in this case it seems to be a German release date. Mario Party DS (Nintendo, €9.99/ £8.99) - Though this series is most highly regarding for its home console offerings, portable versions do at least offer some minigames on the go. 'Download Play' multiplayer will be out, so we'll see how much can be done by passing the GamePad back and forth, while a solo campaign is an option; we'll bring you a review soon. Mario Party 2 (Nintendo, €9.99/ £8.99) - We jump straight to the second N64 entry in the series, which makes sense as it improved on the original and included a number of the same minigames. This one did include more unique game boards, and this Wii U version should also offer standard multiplayer shenanigans; we'll have another party for this one, but until then you can check out our original Wii Virtual Console review. Star Fox Zero (Nintendo, €49.99 / £39.99 or €44.99 / £36.99 for those with Star Fox Guard on the same Wii U) - After skipping the Wii entirely we finally have a fresh Star Fox title on a home console, and it's an ambitious effort that incorporates a new GamePad-centric control scheme. In addition to flight levels there are other vehicles and control schemes thrown into the mix, along with plenty of content for players to master. Our review will be with you before launch, but until then you can catch up with our Star Fox Zero preview. Available from 22nd April. Langrisser Re:Incarnation Tensei (Aksys Games, €34.99 / £28.00) - Langrisser started on the Sega Mega Drive and had several sequels up through the Sega Saturn, but the only entry to ever make it out of Japan was the first game. With this one heading West on 3DS (eShop only in Europe) it has a chance to win over new fans; it promises branching story paths, plenty of strategic battles and 100+ hours of gameplay. Available from 19th April. Dan McFox: Head Hunter (Lightwood Games, €2.49 / £1.99) - This isn't just an opportunistic release with the Foxy theme of the week, but is also a rare release from Lightwood Games that isn't a word game. It's a port of a mobile title generally targeting young gamers, as it incorporates elements of the 'Guess Who' board game, challenging the player to frantically pick out faces that fit the right criteria. It'll include online leaderboards, and we'll bring you a review soon. That's your lot for the European Nintendo Download Update this week; let us know what you're planning to download in the poll and comments below. Langrisser Re:incarnation Tensei? That's come out of the blue...out tomorrow? I think Shin Megami Tensei IV has been discounted more times than all other games in the history of the universe combined. Nothing again this week. Really sparse in terms of releases. Nintendo are a rip-off. €10 for a DS game and €60 for SFZ/SFG. It's not right and what about those who own the physical copy of SFZ, do they get a discount on SFG? They do in their @R$€! Nothing for me this time - which makes me happy. @YorkshireNed No, that was confirmed months ago. How will the discount for Star Fox work? I mean, I can't very well get a discount on Zero for owning Guard without buying Guard first and I can't get the discount on Guard without buying Zero first, right? Zero and Guard for me.Games like this are the reason I love Nintendo in the first place. Looking forward to mastering the "bad" controls. @Sean_Aaron yup, so in the end it doesn't matter which you buy first, the total will be €59,99 if you plan on buying both games. @Sean_Aaron You can only get one discount. If you buy Star Fox Zero (49,99€), you can get Star Fox Guard for 9,99€. Totals 59,98€. If you buy Star Fox Guard (14,99€) you can get Star Fox Zero for 44,99€. Totals 59,98€. @SLIGEACH_EIRE 1) Nintendo are trying to encourage digital downloads, which is a good business decision. Is the SFG and SFZ discount if you buy both time limited? I'm confused about Lagrisser Re: Incarnation Tensei being eShop only in Europe, because Amazon UK has it up for pre-order. @KoopaTheGamer I'm not surprised, shame it's not a bigger discount! Definitely both Star Fox but retail copies and MP2. Maybe MPDS since I never really played with other people due to the lack of DSs. Mario Party 2! What a pleasant surprise. Here's hoping for the third one to come out as well. @BMORRI It's not encouraging when it's nearly the same price as retail. And owning it physically is far more beneficial. Justifying its price by another rip-off game ain't right either. That's like saying well Hitler was worse than Saddam Hussein. And Star Fox Zero is a movie length game, has no online multiplayer and divisive controls. Langrisser, definitely. I have to live up to promises made to hours of amazing soundtrackery of its predecessors, after all. Not a great week! Not feeling it for starfox. The game which has no features that intrest me. Add online dog fights and I'm sold! Oh hell yeah, Mario Party 2!!! Finally something for me this week!!! Almost done playing xenoblade. After that, I'll play some lego city, darksiders or yoshi. Or even toad. I don't think I'll be buying star fox at all. You don't know how long I've been waiting for a N64 Mario Party game to arrive! Got so disappointed when I saw MPDS first and then realised there was 2. There's still hope for my all time favourite Mario Party 3 to be released then! Ah that's typical! I finally got around to getting shovel knight 3ds last week and now this week's it had a discount!!!! I'm getting "Starfox - First Print Edition" this week The limited release with 3 retail covers, where one is Steelbook. Hope that Pocket Card Jockey demo comes to NA! Pocket Jockey Demo for me this week but getting Star Fox n Guard physical aswell. The 2 VC games EU is getting just puts NA further behind. Will NA ever catch up at this rate? Physical copy of Star Fox Zero/Guard for me. I might grab Shadow Puppeteer whilst it's a bit cheaper, I've still got my old Mario Party 2 cart for now. Maybe it's a garden for multuple queens? SF0 is being shipped to me by Amazon.....hoping it shows up a day early! @gcunit Me too, but I haven't given in just yet. Sadly the Starfox deal probably only works on downloads, but I plan to buy Zero at retail and download Guard. Sadly no discount for me then! Star Fox Zero for me. I'll also try out the Pocket Card Jockey demo, but I can't see myself buying that game. @KoopaTheGamer Wow so only €5 discount for buying both games (and probably only if you buy them digitally). @Shinnos Yeah, I won't buy Star Fox without a demo. Not a chance. Party 2, Party DS and physical SF0/SFG. @BMORRI Sorry, I meant to say "ラングリッサー リインカーネーション －転生"
@VanillaLake I think you'll miss lots of good content if you only get games that have demos available. While the controls may not be traditional, I'm positive they'll work after getting used to them. @KoopaTheGamer No, I said specifically Star Fox, not that I have to play a demo for every game I buy. If Nintendo does not release a demo for a Nintendo game on a Nintendo console with such an atypical control scheme, then I don't know what they are trying to hide. @VanillaLake I think releasing a demo could be harmful for Nintendo. A short demo may not do the game's controls justice. In fact, releasing a demo of a game with atypical controls may repel potential buyers, even if those players would possibly enjoy the full game. Nothing for me this week, but I'll get Star Fox eventually! @ScorpionMG Ah would you not prefer to buy it for €60 from the eShop, receive no hat, have your game tied to the console, have no prospect of selling it to get your money back, lend it to a friend or just keep it and hopefully in time it'll be worth money especially seeing as it's the only way to get SFG physically? Why, why, why? @Achoo You haven't a clue. I buy all of the games on Wii U and I own all the bundles. For example, I paid €50 each for the Xenoblade Chronicles X bundle, the Twilight Princess bundle and the Project Zero: Maiden of Black Water bundle. They were better value and had better content in my opinion. Star Fox Zero is a short game that's had a troubled development, no online multiplayer and dodgy controls by all accounts. Star Fox Guard is a tacked on mini game. Then there's the fact Nintendo have deliberately made this exclusive to some retailers in certain countries. GAME in the UK, Gamestop in Ireland. So much for competition. Oh and I am buying the First Print Edition of SFZ for €65 unfortunately, that doesn't mean people aren't allowed have an opinion on the bundle. Starfox Zero will be arriving in physical format. Langrisser I am interested in but being a digital only I will wait for a sale whilst eventually acquire a physical US copy for back-up. @Mario-Man-Child Where? I've not seen this anywhere at any time below €60 and that was Amazon Italy I think. @Achoo Oh, just let him have an opinion. There are people who say that the controls are fine and they haven't played it either. I like reading some criticism every now and then, even on a "Nintendo fan site". @SLIGEACH_EIRE Yeah, I got the Twilight Princess Special Edition bundle with a CD and an amiibo for less than the price of the eShop digital version. I also got Maiden of Black Water Limited Edition, it was very hard to though, because there were issues with my pre-order but I could get it eventually - complaining! It has become probably my favourite Wii U game as I love the game design and makes great use of the GamePad, and I dig that survival horror concept that is not gore. @Mario-Man-Child Wake up. We're talking about the First Print Edition. Sheesh! Some people. I should have known better than to ask you anything. A lot of places have been talking about what score it'll get. I guess they're all pessimistic moaners as well. Funny how my score prediction is smack on in line with what others think. @Mario-Man-Child I talk about the game. You, not for the first time have resorted to personal insults. i. If you give me more time, I can list even more! So, I don't pity Nintendo at all, but their fans, including myself. @Achoo Unfortunately my not buying it wouldn't achieve anything in getting its price reduced. A lot of these bundles only seem to get more expensive after release. I'm a massive Nintendo fan but I'm not blind and will criticise them when I feel it's justified. Pocket Card Jockey - awesome. Hopefully means we will get the full game. @Mario-Man-Child No it's not insulting to tell someone to wake up. But your comments, calling me a saddo and a rat amongst many others on previous occasions are definitely insulting, I've had enough of them and you've been reported. I seem to be one of the few to wish Mario Party 1 were on here. Other games like Kid Icarus etc cause just as much hand trouble! I loved a seven game coin dash with classics like bumper balls and shy guy says finished off with a hectic game of grab bag! Happy days. @RainbowGazelle Amazon retails physical games and download codes for digital content. Sometimes, they'll run promotions that include physical items (posters, cds) with purchase. @Achoo Many people? Have you seen Nintendo sales lately? Hahahaha! Cool Mario Parties but neither I'd download because I've played both to entire death. Picked up Shovel Knight for around £6 on PS4 and Vita as it was cross buy and look here know such thing on a Nintendo format or even a discount on the same level not impressed as im after picking them up on my Wii U and new 3DS-XL. @Achoo I don't want to argue with you, but the 3DS games on the list could have been much better. Even Mario Kart 7 feels unpolished, and it's my most played 3DS game. I think Nintendo rushed those 3DS games because the 3DS failed until Mario games and a drastic price reduction did their job. Another mistake made by Nintendo was to hire mediocre studios for making key games, with very little supervision and mixed results, like Yoshi's New Island (http://www.metacritic.com/game/3ds/yoshis-new-island). To be positive, a few studios did an excellent job. Next Level Games did an amazing job with Luigi's Mansion 2. I can't recommend that game enough, if you haven't played it, you should. On Wii U there are awesome efforts, but most of them made by other studios, like Tropical Freeze (Retro Studios), Maiden of Black Water (Koei Tecmo) and the more recent Yoshi's Woolly World (Good-Feel). Games made by Nintendo feel quite unpolished and improvable lately, I don't know what's going on, probably Nintendo is focused on NX since they admitted Wii U's failure back in 2013 or 2014. It's not like I want to spend my money and time on mediocre games, and I won't be buying NX at launch after 3DS and Wii U disappointing beginnings. 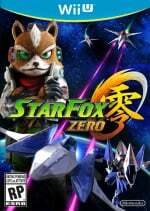 To be honest, nobody knows for sure if Star Fox Zero is going to be good, mediocre or bad, but I think it's going to get an average score around 70 on Metacritic.com, which is mediocre in my book (let's wait and see). When I see Star Fox Zero footage, I see Nintendo trying to deal with underpowered hardware and a gimmick controller that has not been a success at all. I've already pre-ordered the first print physical edition of Star Fox. Will probably finally get around to getting Never Alone - at that price, its worth it for the pretty art and the gold coins. Jeez I really hope the NX addresses this week after week of very limited choices! And us gamers in the states are worse off with NOA at the helm! Ughhhhhh!!! @RainbowGazelle That's the US version they're selling. @Miiamoto They've removed the pre-order now. Amazon UK don't sell US games. When I first looked they had a European version up for pre-order, but that obviously doesn't exist. @wazlon I've just given in - I couldn't take it any longer. Every Thursday evening almost immediately after the discount ends I curse my cowardliness. Now I shall curse no more! @gcunit I haven't given in. There's tonnes of RPG's I haven't even got around to playing yet so buying this would just mean it sits in my backlog. @wazlon Backlog? That's right where mine has gone too, but at least its paid for, downloaded and ready to go when I get that itch - I dip in and out of games like a kid at the pick 'n' mix. Anyways, didn't realise but the sale didn't end last night - continues until 05/05, so THERE'S STILL TIME FOR YOU!! !